People are being encouraged to take more responsibility for managing their own health, as part of the government’s NHS strategy focusing on prevention. On 5th November, Health and Social Care Secretary Matt Hancock announced a green paper entitled ‘Prevention is better than cure’. It outlined the vision for a “new 21st century focus on prevention”. The plans argue for a shift towards primary and community care services, to look at the early support they can offer people in preventing poor health taking hold. Mr Hancock said in a speech at the International Association of National Public Health Institutes: “Prevention is also about ensuring people take greater responsibility for managing their own health. At Shift, we’re committed to enabling people to build activity into their lives, either as individuals or whole communities. We believe physical activity is central to creating a culture of health and wellbeing. 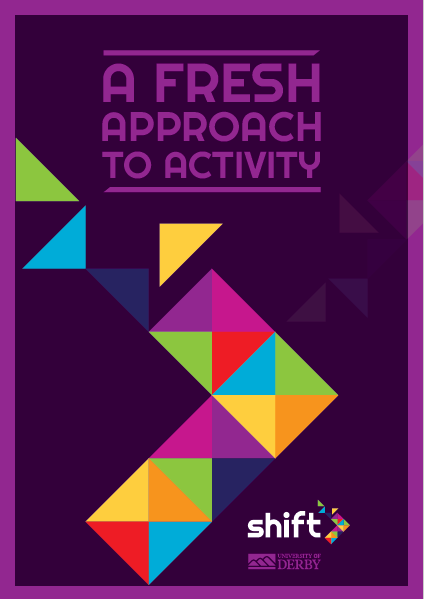 The place-based approach we’re taking to active living, based on the theory of ‘Asset Based and Community Driven Energy’ is outlined in our new leaflet which you can view here. We recognise this work is best done in collaboration with others and we’re delighted and grateful to be working with Debbie Sorkin from The Leadership Centre and Cormac Russell from Nurture Development. Local partnerships are also critical to progress and we work closely with Active Partners Trust, the District and Boroughs across Derbyshire and the City and County Councils plus many others. We’ll be producing regular evaluation reports across our work. Keep an eye out for those being published on this blog. If you’d like to join us in developing active, vibrant communities, please get in touch using the contact form below.